Ashley Fils-Aime has been a favorite on the comedy circuit for over the past ten years. He started his comedy career at the age of 18. His ability to speak four different languages enables him to be more universal with his comedy. He has been on MTV's Sink or Swim and SITV's Comedy Laugh Festival. 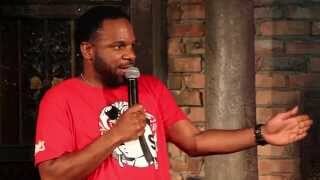 He has opened up for acts such as Mark Curry and Dave Chappelle, and has toured the country with Pablo Francisco. His Keen sense of humor and energetic delivery is always sure to leave audiences roaring with laughter. There are NO CANCELLATIONS or REFUNDS on tickets purchased online! Please make sure you select the correct date & time for the show you'd like to attend.